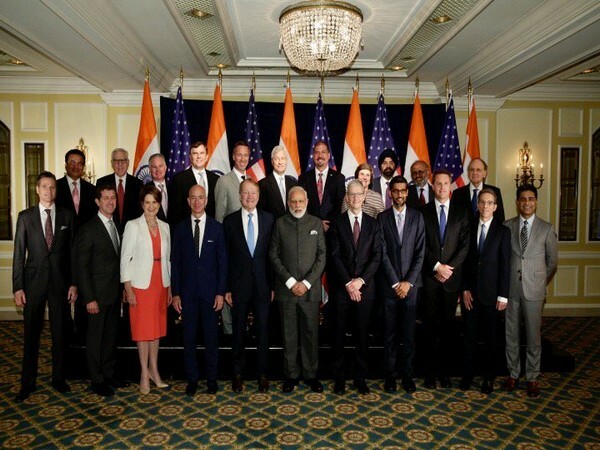 Home WORLD NEWS India's surgical strikes weren't criticised, except by those who faced consequences: PM Modi in U.S.
India's surgical strikes weren't criticised, except by those who faced consequences: PM Modi in U.S.
Washington D.C. [U.S.A.] : Highlighting the success of surgical strikes against terror havens along the Line of Control (LoC), Indian Prime Minister Narendra Modi said here that the move was a double-edged sword for which the entire world could have questioned New Delhi, but only those who faced the consequences took to criticising them. Addressing the Indian Diaspora in Washington D.C., the Prime Minister pointed that two decades ago when India talked about terrorism, it was perceived as a law and order situation, but today that understanding has improved as the threat has been affecting countries worldwide. "Two decades ago, when India raised concerns over terrorism, the others thought that it was our law and order problem, because they themselves hadn't experienced it, but today there is no need to explain to anyone what terrorism is," he told the gathering. He stressed that in conducting surgical strikes, India showcased its headstrong will to protect its sovereignty and safety. "We have succeeded to make the world understand how terrorism is trying to destroy India," he added. The Indian Army in September last year conducted "surgical strikes" on "terrorist launch pads" in Pakistan-occupied Kashmir along the LoC. The 'surgical strikes' took place eleven days after a pre-dawn attack by militants on an Indian Army brigade headquarters in Uri in Kashmir on September 18 that claimed the lives of at least 18 soldiers.